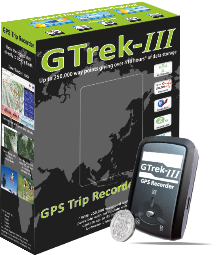 The new GTrek is now available, it's the same as before and completely compatible. The only difference it has twice the memory, that’s 66 hours of storage with a one second update. The best news is it’s the same price. 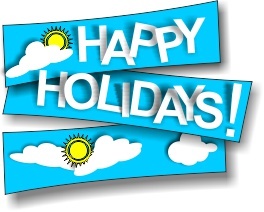 We would like to wish all our customers and website visitors a very happy holiday year. If you have comments or just thoughts let us know. GTrek-GeoTagger (originally called GTrek-IV) now available as a free download or included with future updates (available now). GTrek is the perfect GPS ski or bike solution, it monitors your movement and allows you to create a highly detailed graphical record of where you have been, how far and how fast. Perfect for skiers, bikers, golfers, track-day enthusiasts and almost any other outdoor activities you can think of, the product uses GPS satellite technology and records your exact position at regular intervals, to build up a picture of your movement. This can include how far, how fast and how high you have travelled. Better still, the product comes with software to allow you to see where you've been using Google Earth's topographical mapping, or Google Map™ or Memory Map™. Fully automatic, just switch it on to the LOG position, place in a secure pocket and forget it. Any excess data recorded can be removed later. Photo Geotagging is automatic, no pressing of buttons required. No need to leave the camera switch on between shots so no excessive camera battery use. Get all four products included for the cost of just one. With GTrek you can also GeoTag your digital pictures. How often have you looked at pictures taken, even just a short time ago and wondered "where was that taken". Well with GTrek you can not only tell when it was taken but where you were when it was taken. For more information go to the geotagging section here. Please keep a watch on the FAQ page here or if you have any new specific questions please go to the technical query page here and submit your question, we will get back to you as soon as we can.